I just couldn't ignore all those sales as I was finishing up the last of my shopping. Seems like every store has everything marked down to 1/2 off and rows of clearance aisles. Of course I found a few things that I just couldn't resist. Target usually has something that I can't walk away from. 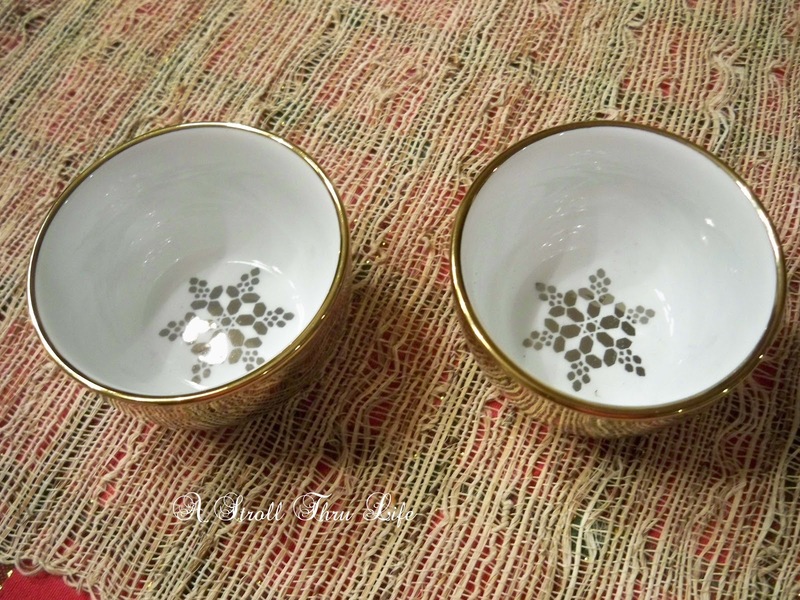 Love these small gold bowls. I can think of a dozen things to use them for - a small candle - tiny floral arrangement - filled with candy on the coffee table - so many uses. The snowflake inside is pretty all by itself. These are marked down to $1.48. I am sure you can never have too many trays. I use them all over the house. This is a small one that is just perfect for so many places at 8 x 13 inches. Of couse since it was gold it had to come home with me too. How could you leave this behind for only $4.98. Steinmart has all of their Christmas and most of the store marked down. 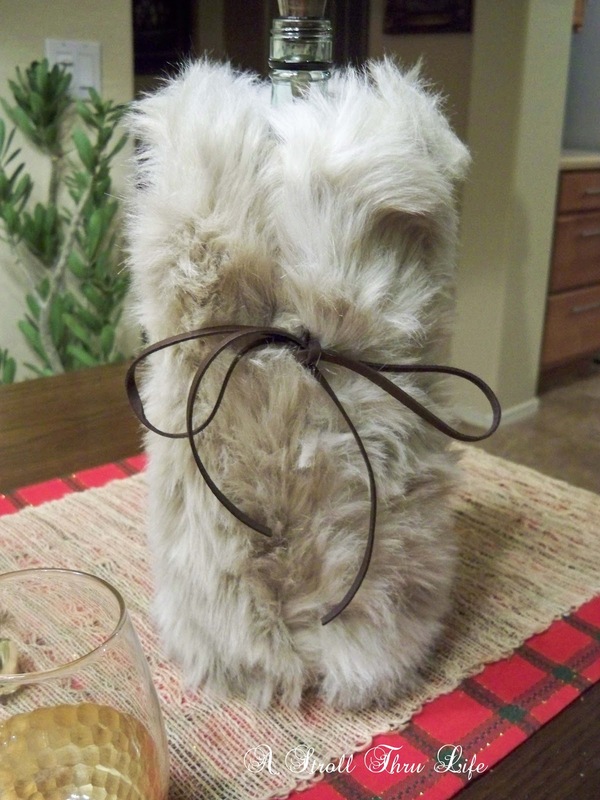 I couldn't resist this fun faux fur wine cozy. 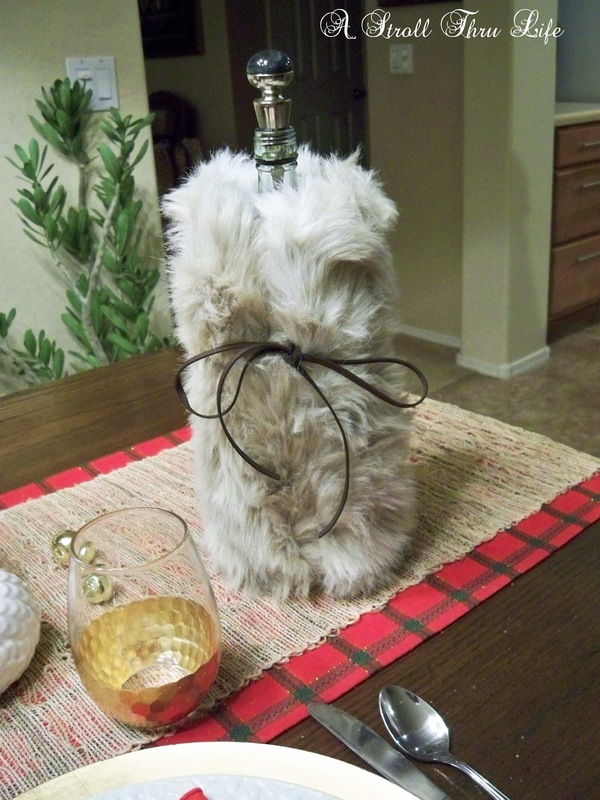 With New Year's eve right around the corner, this would be a fabulous Hostess gift to hold a bottle of champagne for that big party. Or I can see it dressing up a bar cart too. I think it is just so fun. After the discounts about $5. 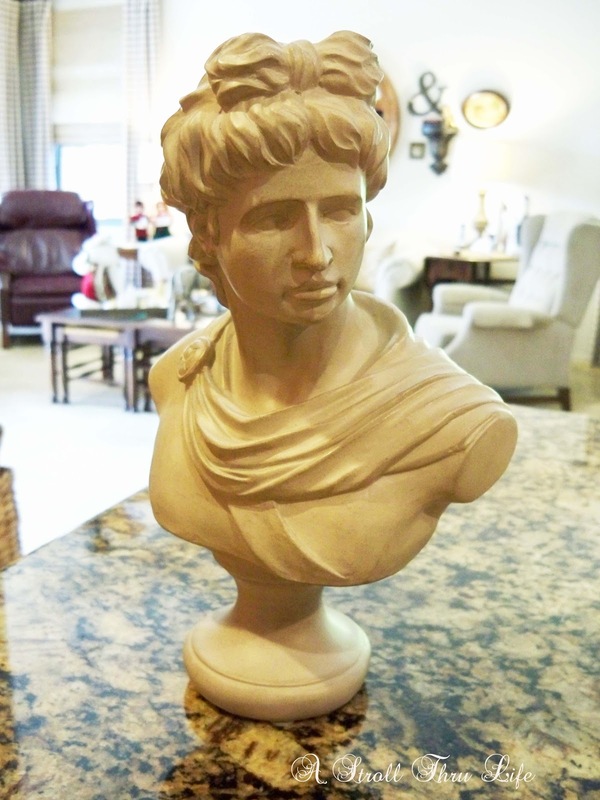 I have been hunting for a bust for a while and everything I find is either really small or way too big, plus some of the price tags are way out of my budget too. Ross usually comes to the rescue sooner or later. I found this one on their clearance rack for $5.95. It is about 12 inches tall, so the perfect size - however, it is a really ugly sort of beige/brown clay color. There is also a gouge right above the eye. I am already thinking about decorating when all the Christmas comes down. Ready for a fresh clean house for the New Year. How about you, do you leave yours up or do you take it down right away too? Be sure to get all of your projects lined up for Inspire Me Tuesday. Party goes live this afternoon at 3 PM CMT. Can't wait to see you there. Love that gold tray! May have to hunt one down. The 12th day of Christmas is on the Epiphany, January 6th. Decor stays up until then. Then it's on to white lacy romance! Love your treasures, especially the tray (I can picture parchment checks painted inside!!) I take it all down before New Years and I am also thinking about changes for the winter decorating!! Have a wonderful holiday! Marty the two gold bowls and the trays are such wonderful finds. 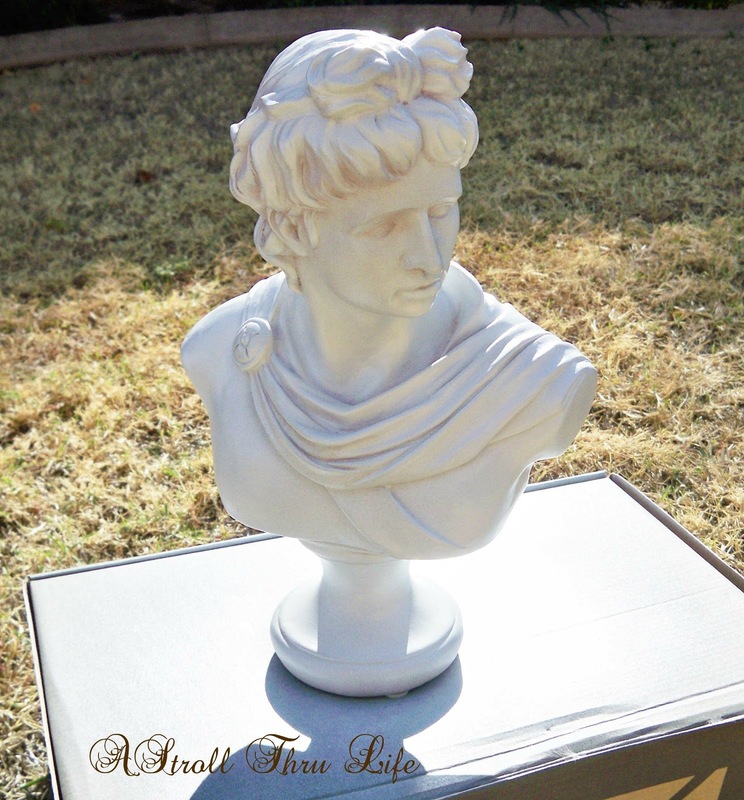 I also love that you painted the bust white. She is so beautiful now. I really can not wait to take down the Christmas decorations. I always am this way right before Christmas. I am already thinking about spring and what I want to do as far as decorating. Can not wait to see your fresh new start after the New Years. Look at you and thise deals. 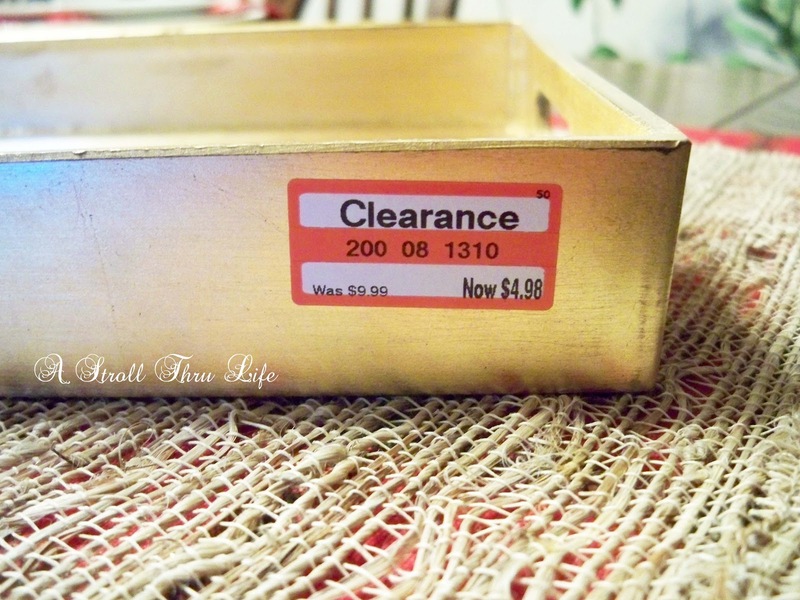 Have that tray in silver from target and did not get it for 4.98. Lucky you. I enjoy leaving my decorations up until after the 1st. 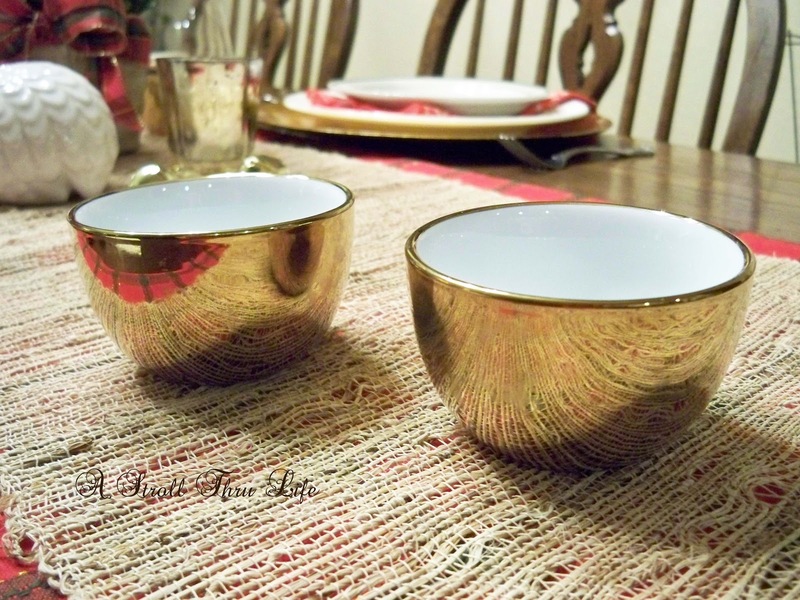 Okay... tomorrow I am going to have to hunt down those bowls and target and a bust at Ross :-) Great finds!!! Nice finds! I like the bust better in white also. I take my decorations down quickly after Christmas. I'm always ready for everything to be scaled back a little. Merry Christmas! I love all the sales this time of year and even more after Christmas. You really found some beauties, Marty! Wishing you and your family a very blessed Christmas. I have been finding some great sales too. I have been done for awhile but these sales just pull us in don't they?!!! Love your sale finds at Target. Gotta Love Target! Merry Christmas. Enjoy these days as we move in into Christmas. That tray is so beautiful! I' looking for a gold circle tray to put my beverages. I can wait to see how you style those items. You find the best bargains! The gold bowls and tray are perfect for now and later. Way to shop! I'm hoping to find a bargain Christmas tree tomorrow. I've decided the one in the family room is too small. I must be losing it. Wish me luck finding a bargain. 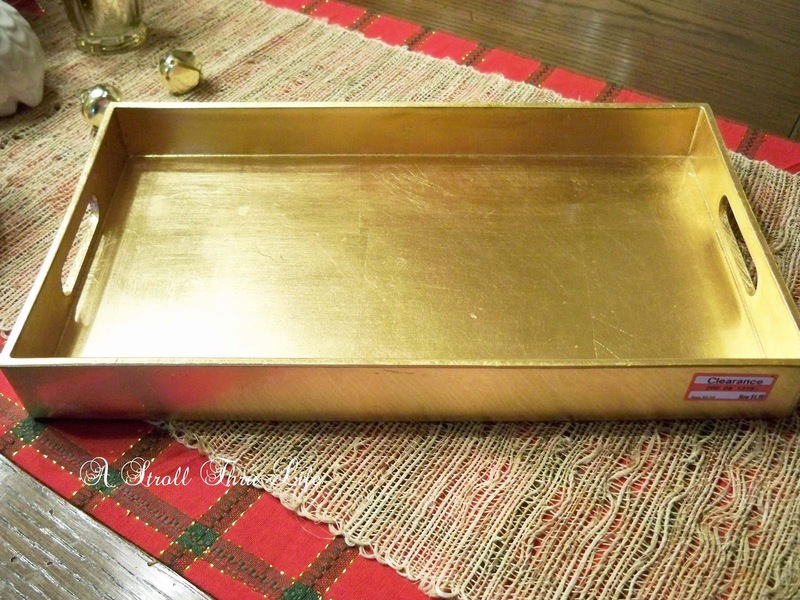 love the gold tray! You are so right...never enough! I just put up my Christmas Tree today, so don't want to take it down too soon. Our son comes home on Christmas day so we'll leave it up until he is gone. Merry Christmas to you and yours and wishes for a Joyous New Year! PS, Keep up the great blogging! We leaves ours up till Epiphany - which is Jan 6th. But I start downsizing it a bit on New Year's Day.....but it seems I just got it done, so not in any hurry, as I still have a lot of hosting to do.